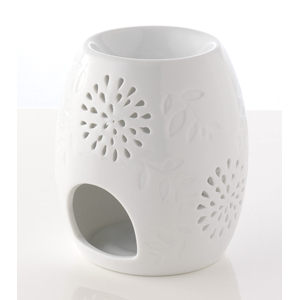 CANDLE HEATED BURNERS A variety of attractive essential or fragrance oil burners are avaliable from our range. 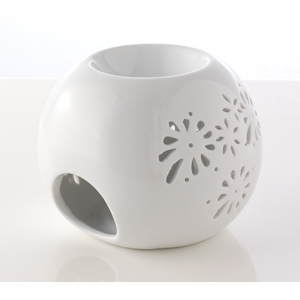 A few drops of essential oil or fragrance oils are added to the water-filled reservoir or dish of the burner and a night-light candle is placed below, thus gently heating the water and causing the essential oil to vaporize. 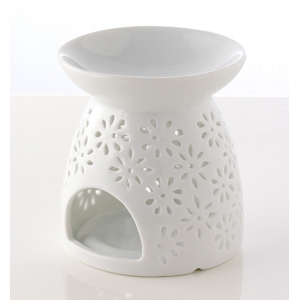 Advantages: They are excellent priced, and a popular choice for those who prefer the simple beauty of earthenware or candlelight.